From left to right brothers, Sharma Motilal,9 and Narad Motilal,8,in happier times. 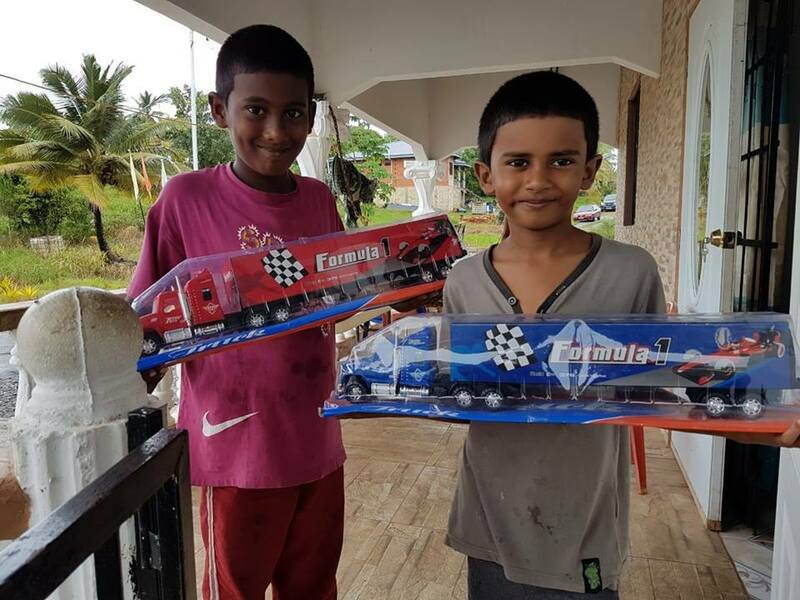 “I just want to go home to play with my brother,” eight-year-old Narad Motilal told his parents yesterday while lying on a bed at the Sangre Grande hospital. Narad, who was listed in stable condition, has been warded at the hospital for the past four days. His parents Suresh and Sally Motilal have not yet told him that his elder brother, Sharma, nine, is dead. However, they plan to do so as Narad is expected to be temporarily discharged from the hospital to attend the funeral of his brother tomorrow. The service will be held at the family’s home at Kernaham Village, Mayaro home. An autopsy showed Sharma died from poisoning caused by deadly fumes of a lighted “cockset” (mosquito coil) in the family’s home. Police sources said poor ventilation, fumes from PVC pipe fittings and smoke from the mosquito coil combined to create the setting for the boys to breathe in poisoned air as they slept on Wednesday night. When their parents went to wake Sharma up at 6 am, on Thursday, to prepare for school, he was unresponsive and barely breathing. In another bedroom, Narad was also unresponsive. Sharma was pronounced dead on arrival at the Mayaro Health Facility while Narad was transferred to Sangre Grande District Hospital. Narad’s aunt Aneisha Mohammed said yesterday his condition has improved and doctors are now observing him. Mohammed said they would speak with doctors to make final arrangements for Narad to attend his brother’s funeral. Police said Narad is receiving counselling. Reply to "‘I want to go home to play with my brother’"